July 2016 saw the very quiet publication of two key documents charting the route to the privatisation of the NHS in England. Firstly, from NHS England, came Strengthening Financial Performance and Accountability in 2016-17. This is the latest set of instructions on the implementation of NHS chief executive Simon Stevens’s Five Year Forward View (5YFV). The 5YFV is increasingly coming to resemble one of Stalin’s Five Year Plans from the 1950s. As the new guidance makes clear, Stevens’s latest collectivisation strategy, the Sustainability and Transformation Plans (STPs), is being rigidly imposed across England. My alternative title for the guidance document would be “Policing the government’s privatisation plans.” Having constructed, with help from the Treasury, a universal set of NHS trust financial deficits based on arbitrarily imposed cash limits, NHS England is now using those deficits to legitimise impossibly tight controls on hospital trusts, clinical commissioning groups (CCGs), and other NHS agencies to ensure they conform to central proposals for cuts and mergers between NHS institutions. At the same time, private sector and insurance friendly “new models of care” are being imposed in community settings, further undermining NHS hospitals. The ultimate intended outcomes of this massive, dictatorial reorganisation process are privatisation, co-payments, charges, and insurance funded care. In other words, before the end of the 2016-17 financial year, we will see the new Conservative government start to impose the large scale privatisation of clinical services, foreshadowed in the Health and Social Care Act 2012. In the event of any doubts regarding the obligatory nature of these policies, the NHS England report referred to earlier makes it clear that “special measures” (central takeover of local management) will be imposed if agencies fail to balance the books or deviate in any way from the government’s plans. In this context, it’s ironic to recall all the fluffy political spin about “putting GPs in the driving seat” when CCGs were launched in 2012. By contrast, we are now told by NHS England that CCGs that fail to follow Stevens’s diktat will be disbanded and/or forced to become US style accountable care organisations (ACOs). This is with the aim of promoting mergers, cuts, and closures in the publicly provided NHS and introducing community based “integrated packages of care,” which are readily amenable to private sector provision and insurance funding—as occurs in the US ACOs on which this particular “new model of care” is based. It is no coincidence that the House of Lords is currently calling for evidence to be submitted to its new select committee on the long term sustainability of the NHS. This inquiry, supported by government ministers, is likely to make recommendations that will legitimise the aims of Stevens’s five year plan, including the “inevitability” of top-ups, co-payments, charges, and of the short term personal health budgets and longer term health insurance system that would be required to fund them. This toxic combination of an increasingly insurance based and increasingly privately provided health service will signal the final dismantling of what was once our National Health Service in England—a horrific and destructive act, which we now know to have been first proposed by Prime Minister Theresa May’s predecessor Margaret Thatcher in 1982. 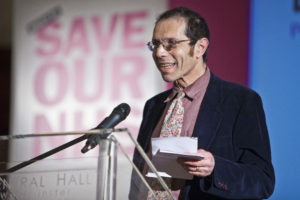 Alex Scott-Samuel is a senior public health academic and joint chair of the Politics of Health Group. Competing interests: I have been a member of the Labour Party since 1978.